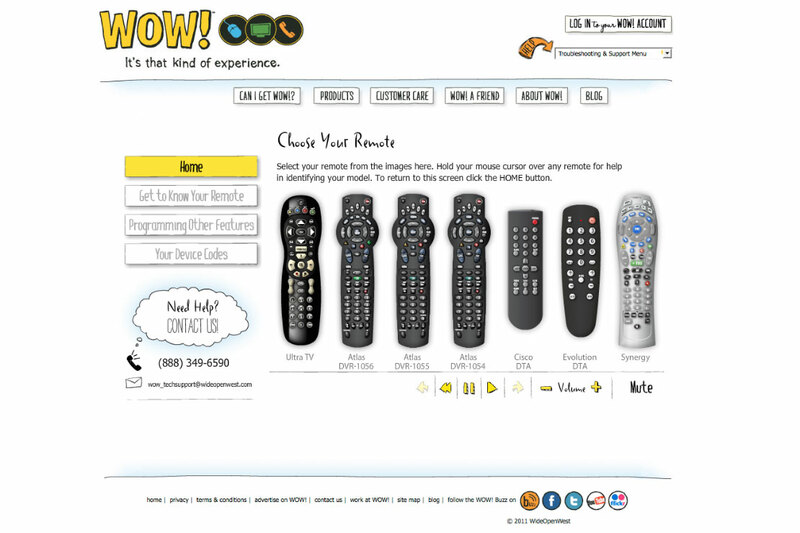 This Remote Wizard was created for WideOpenWest, a digital cable provider to help their users configure the remote that was shipped with their cable box to the other devices in their household. 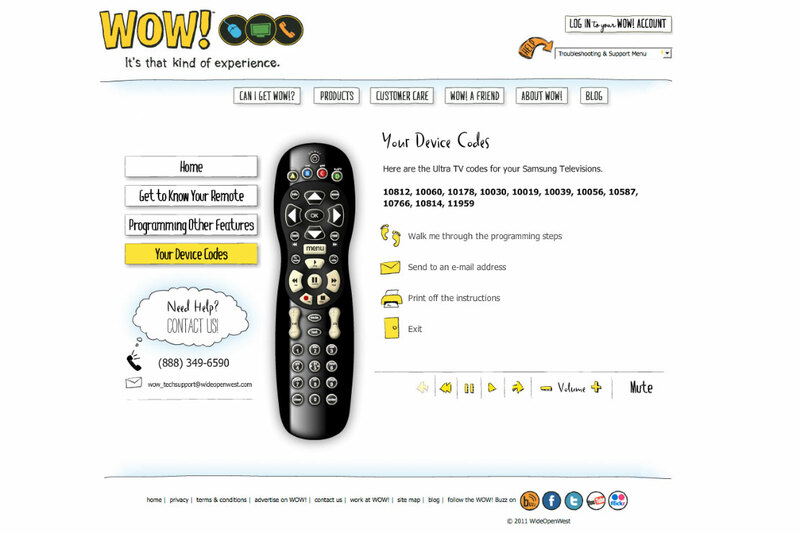 This wizard features a detailed walkthrough for 7 different remotes, troubleshooting instructions, remote button guide, and feedback form. I am responsible for all of design, all of the flash programming in AS 3, all of the animation, and managing the creative talent on the project like the artists and voice talent. 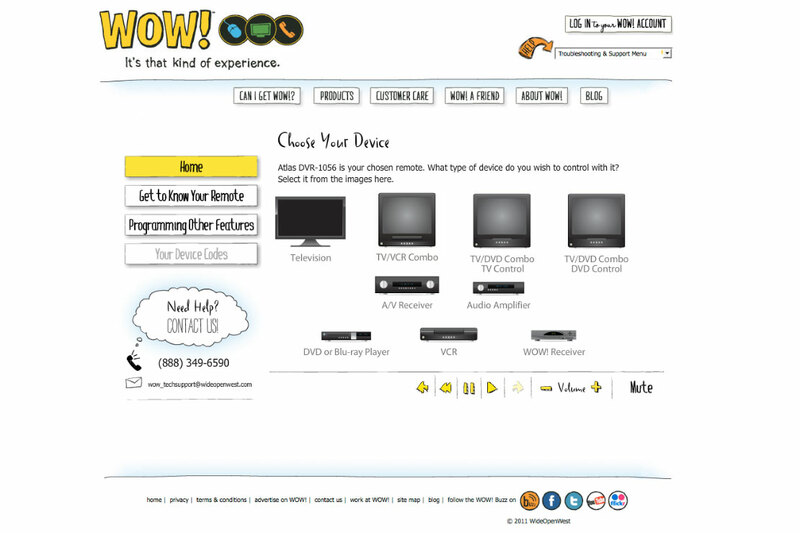 © 2012 WideOpenWest Finance, LLC. All Rights Reserved.